Daisy and I rarely get to spend time together, just the two of us. In fact, aside from a quick trip to the ice rink on an INSET day earlier this year, the last time we actually spent quality time together was when we went on a day trip to Paris just before she started school! Yesterday evening Evie had a play date with a friend after nursery so Daisy and I decided to head into town to spend her birthday book tokens and then to treat ourselves to dinner at our local Pizza Express. Yesterday we bought six new books from the bookshop before heading next door for a super early dinner. The new Autumn menu out launched during half term, which features a salmon risotto starter, the Basilicata Romana pizza (with the star topping being lamb and mint meatballs, oh my!) and a melt in the middle chocolate fondant for dessert. I love how these guys add seasonal dishes to their regular, and much loved, menu throughout the year. At Hallowe'en they even had pumpkin shaped garlic bread for the kids! 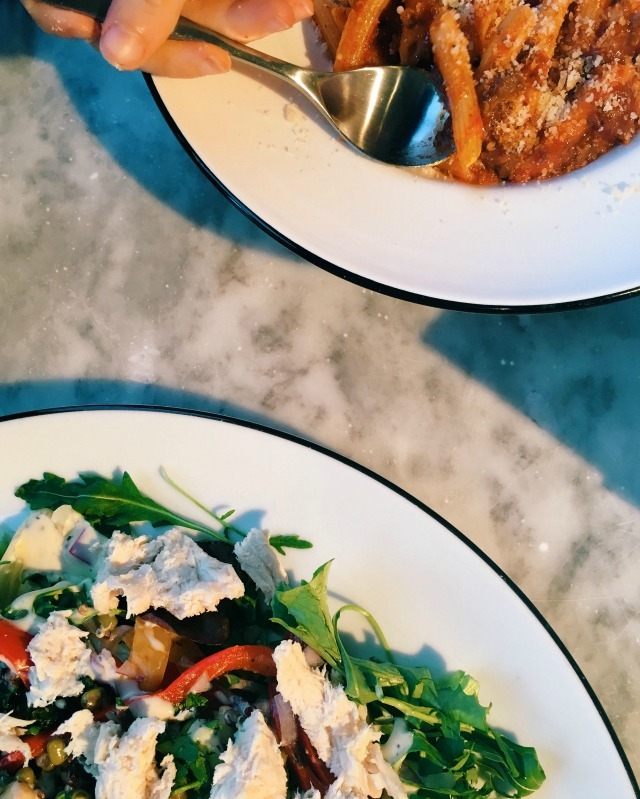 On this occasion I thought I'd go completely crazy and step away from my usual order so I tried the superfood salad with chicken, while Daisy had the dough balls and pasta bolognese from piccolo menu. On the current kids pack there's a 'dough ball personality quiz' which quite rightly described me as a 'cautious dough ball'. Apparently I know what I like and stick with it. I order my favourite pizza every time because if it's not broke, why fix it? - And that's usually so true! For dessert, Daisy had a grown up's portion of the new chocolate fondant (SERIOUSLY! WHERE DOES THIS BEANPOLE PUT IT!) But that meant I got to have the chocolate brownie from her piccolo menu, which I washed down with a super smooth and strong double espresso. 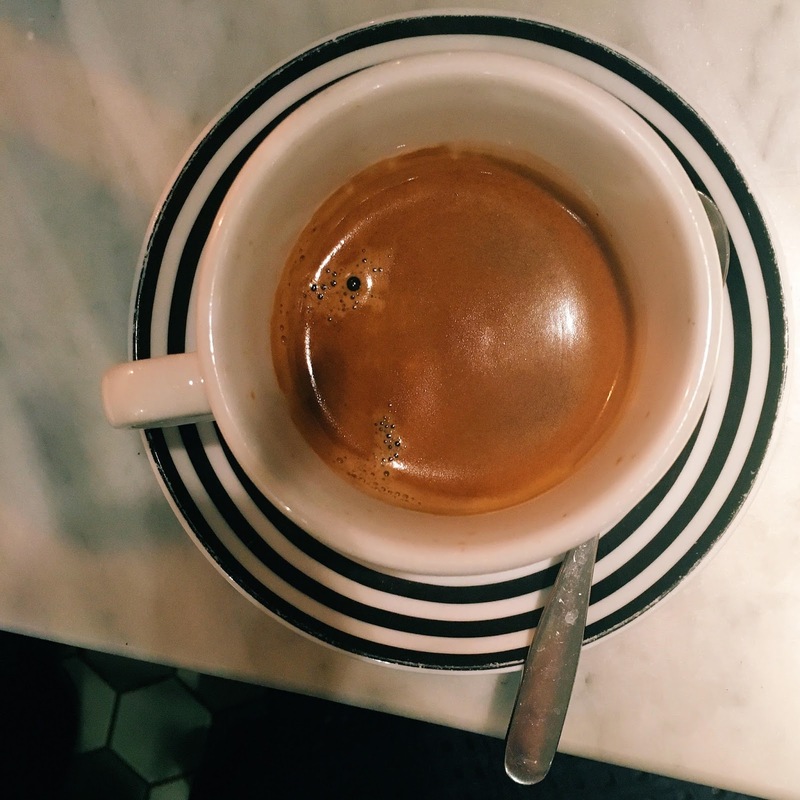 Pizza Express coffee is seriously good! 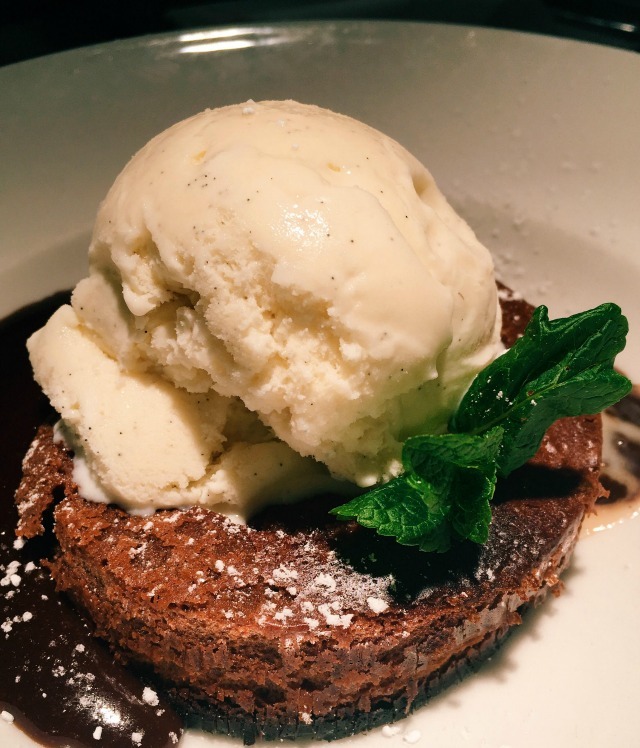 As always, we had a lovely meal at the Haslemere restaurant, and it was extra special because we got to spend some time together by ourselves. 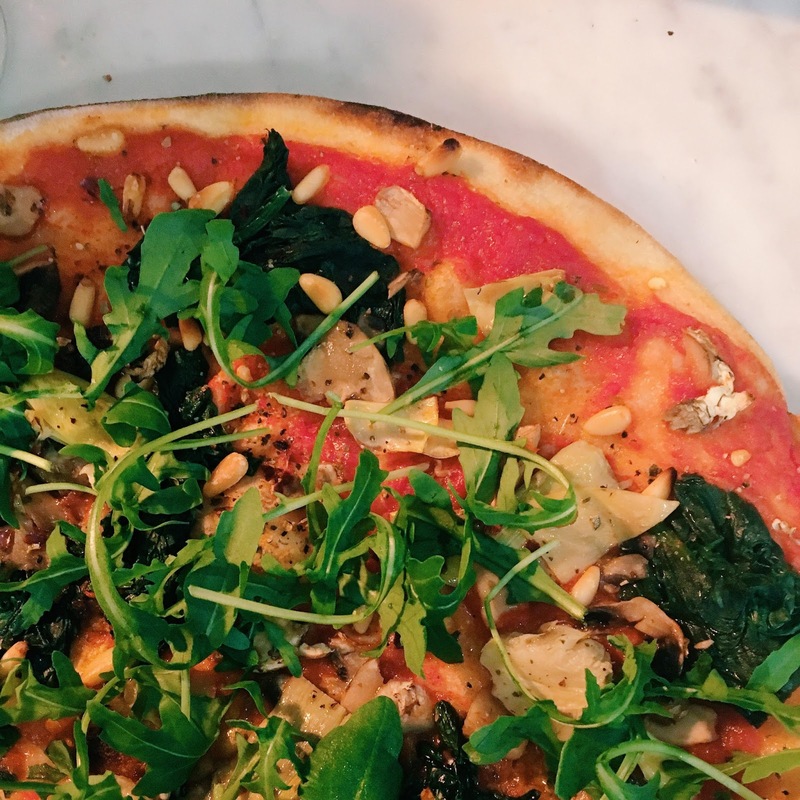 ps Usually when I go to Pizza Express I have the Pianta, which is vegan / dairy free. I mentioned it on Instagram Stories not long ago and it turns out loads of you didn't realise that a vegan pizza was an option! Its absolutely delicious - a romano base topped with spinach, closed cup mushrooms, artichokes, tomatoes and pine kernels (no cheese, obvs!) and finished with rocket and fresh parsley - and it tastes even better drizzled with chilli oil. If you're looking for a healthier / vegan / dairy free option, definitely give it a whirl.